In order to keep one woman in a top job, Angela Merkel will reluctantly force German companies to give some others sub-top jobs. German companies listed on the stock exchange will need at least 30% of supervisory board members to be female from 2016, according to proposed legislation. 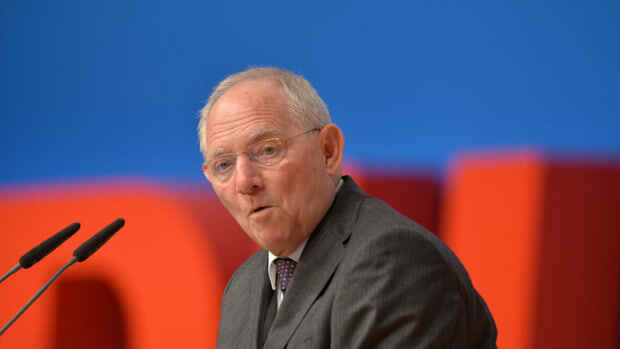 Germany&apos;s two largest parties, Chancellor Angela Merkel&apos;s conservative bloc and the left-leaning Social Democrats, agreed on the quota Sunday during talks on forming a broad coalition government, according to Manuela Schwesig, the Social Democrats&apos; main negotiator in the working group for families, women and equal opportunities…. The agreed legislation won&apos;t affect management boards for the time being. Rules for management boards and for lower management levels in companies will be set up in the future, according to Ms. Schwesig. Don’t worry: His replacement might be even yellier. Now that the U.S.'s economic recovery is a sure thing, thanks to the hard work our sage and wise leaders put in a couple of hours after allowing the country to fly off the fiscal cliff, weary eyes turn to the other side of the Atlantic, where the Germans and Italians look to elect similarly sage and wise representatives. Well, the Germans, anyway.